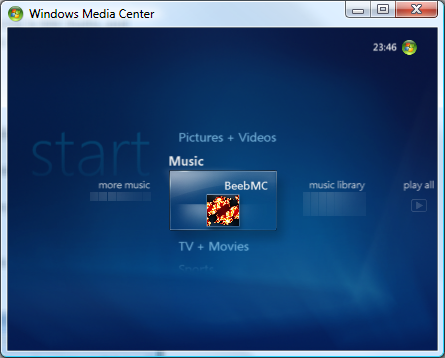 I’ve been looking into getting BeebMC to run on the 64 bit version of Vista. 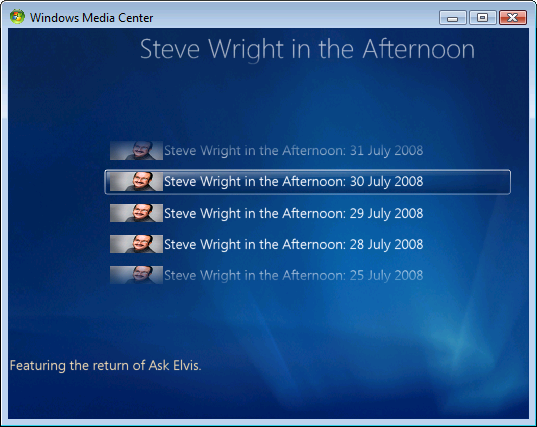 It runs fine, but plays no music. 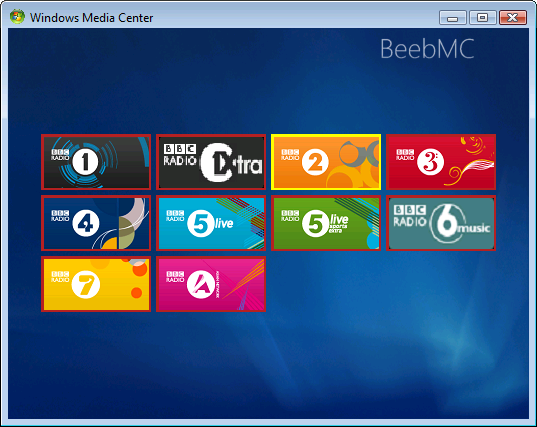 The reason is that Media Center runs as a 64 bit process, and there is no 64 bit Real Audio plugin for Internet Explorer, just the 32 bit version. You can run a 32 bit instance of IE and use that to listen to the BBC, but when I host IE in BeebMC, it is running in a 64 bit context, so it can’t then load Real Audio to play the BBC streams. 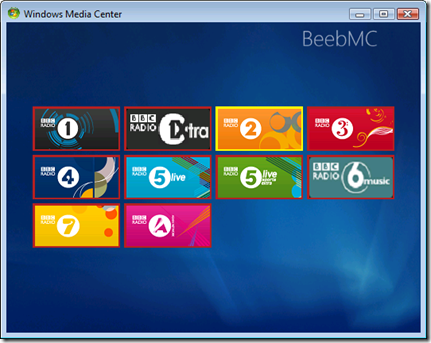 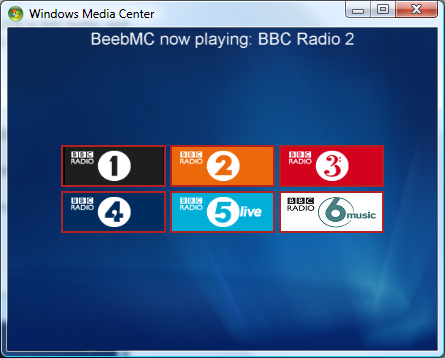 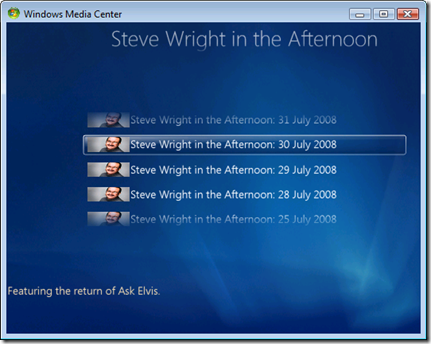 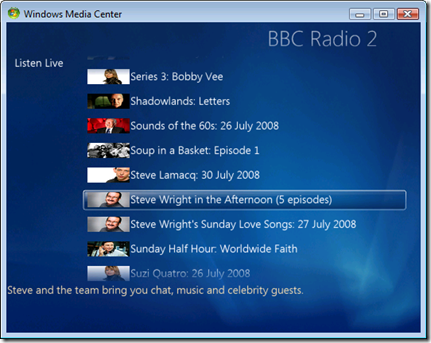 If/when the BBC starts streaming in a format that Windows Media Player can play natively then this problem will go away (and you’ll be able to use BeebMC on extenders. 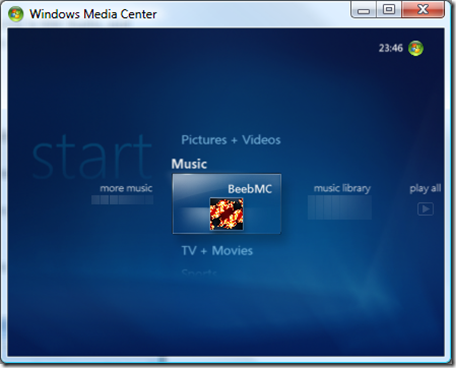 This entry was posted in BeebMC on August 29, 2008 by damian. 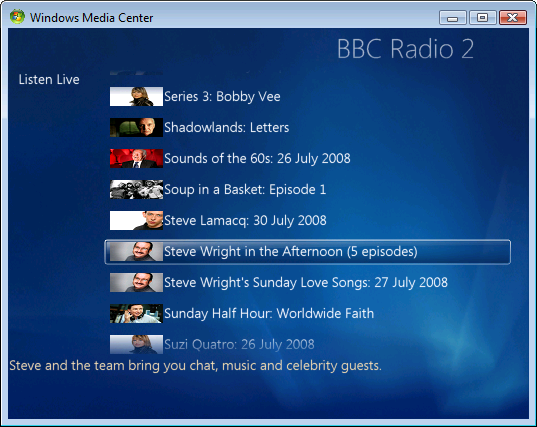 There are now buttons to scroll up and down on a channel page, so that people with touch-panels can use the page more easily.